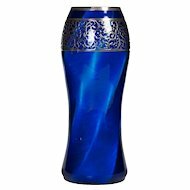 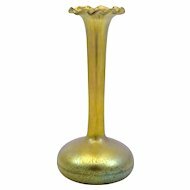 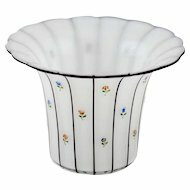 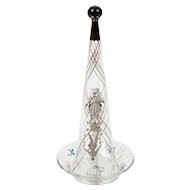 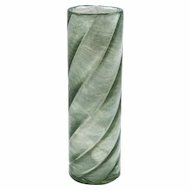 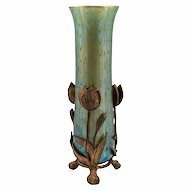 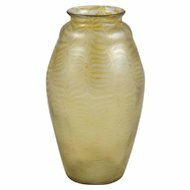 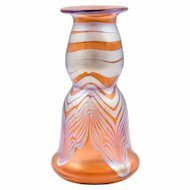 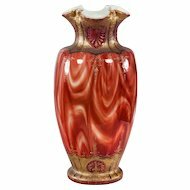 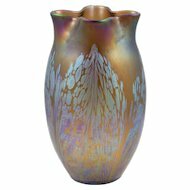 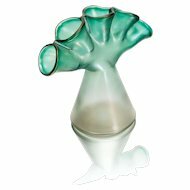 This vase is beautiful example of a creation of Loetz with the Medici decoration. 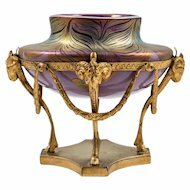 The Medici decoration genre was invented in the year 1902. 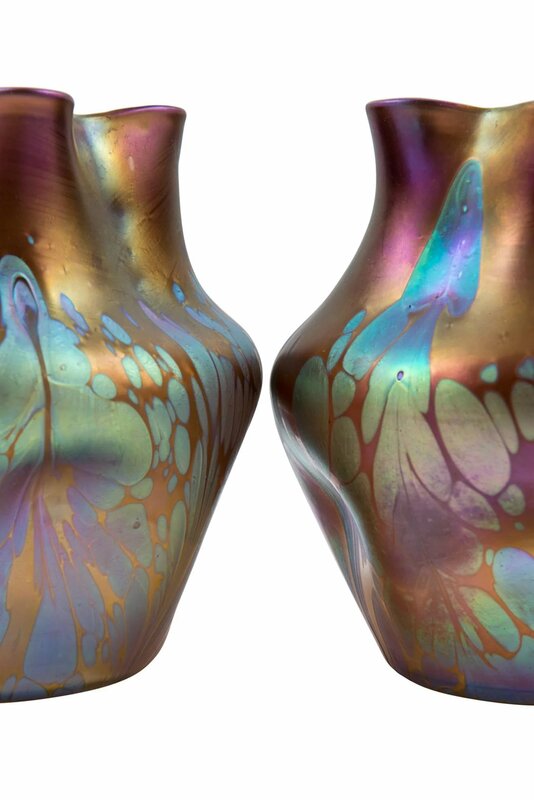 Silberkröselzungen were applied on different colours of foundations which were iridescent by themselves. 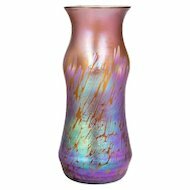 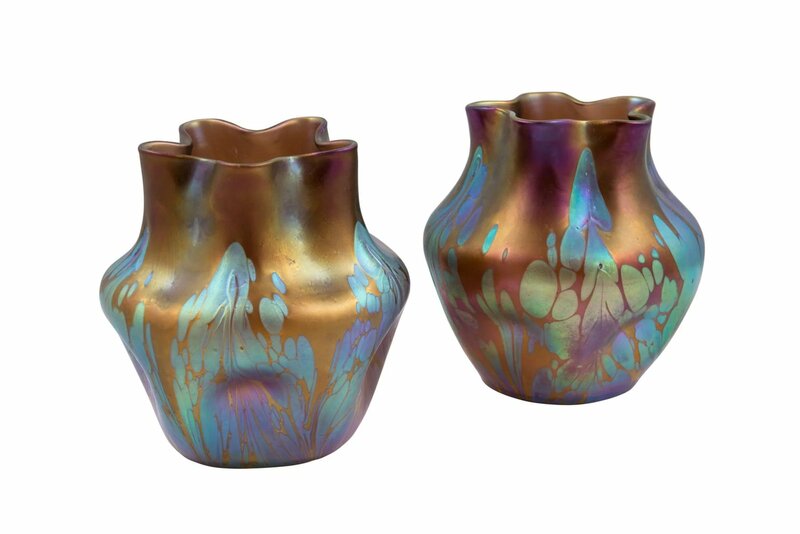 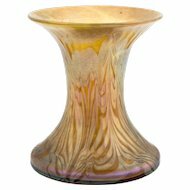 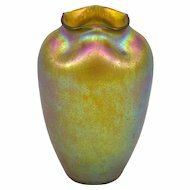 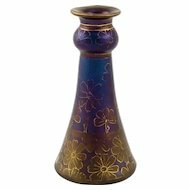 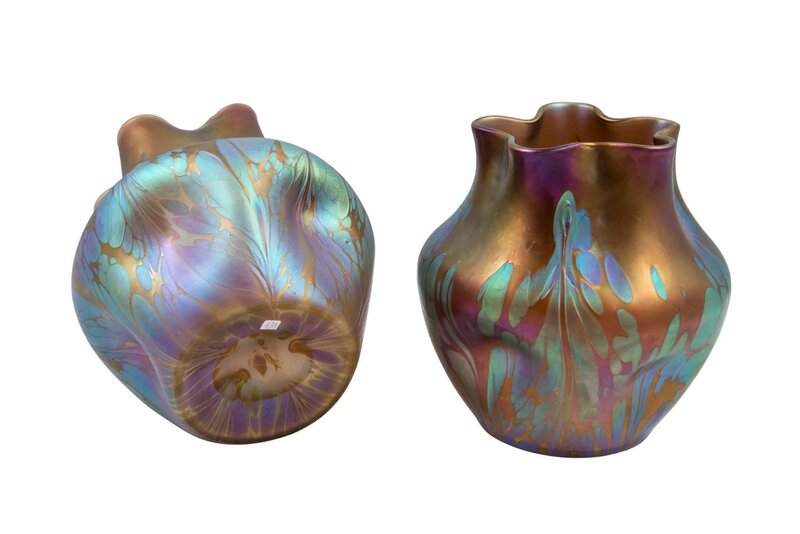 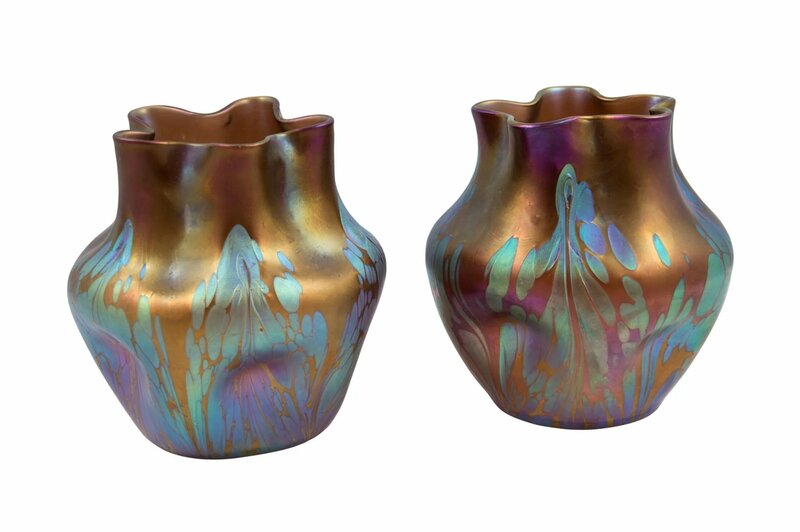 The base colour is an opalescent purpleish brown with a highly iridescent finish and lends these vases an ethereal elegance. 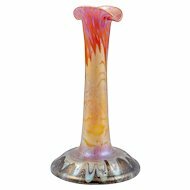 The Silberkroeselzungen are splendid and they shimmer in a wide colour range from gold over turquoise to pink. 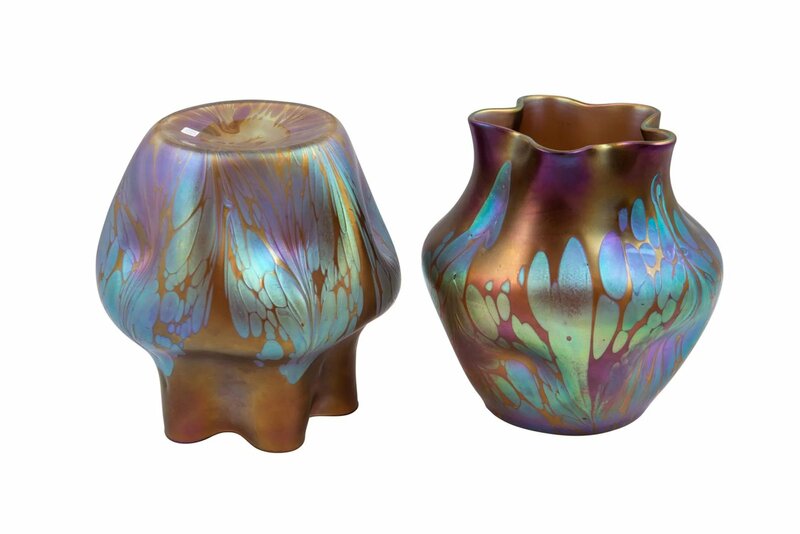 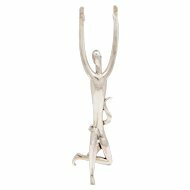 The opalescent base coating together with the changing brown colour makes these objects a real eye catcher!